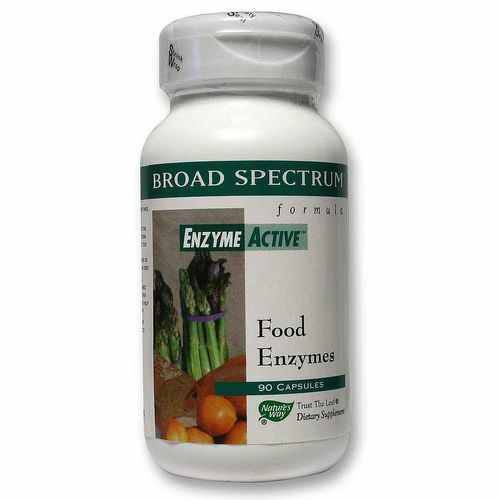 Food Enzymes from Nature's Way restores enzymes missing from your diet for proper digestion. Most of the foods we eat contain enzymes naturally, but many are lacking in the modern diet. Food Enzymes from Nature's Way can help replace those lost enzymes back to assist in the break down and digestion of food. In combination with vitamins and minerals, enzymes make sure our bodies absorb all the necessary nutrients from the foods we consume and remove waste properly. 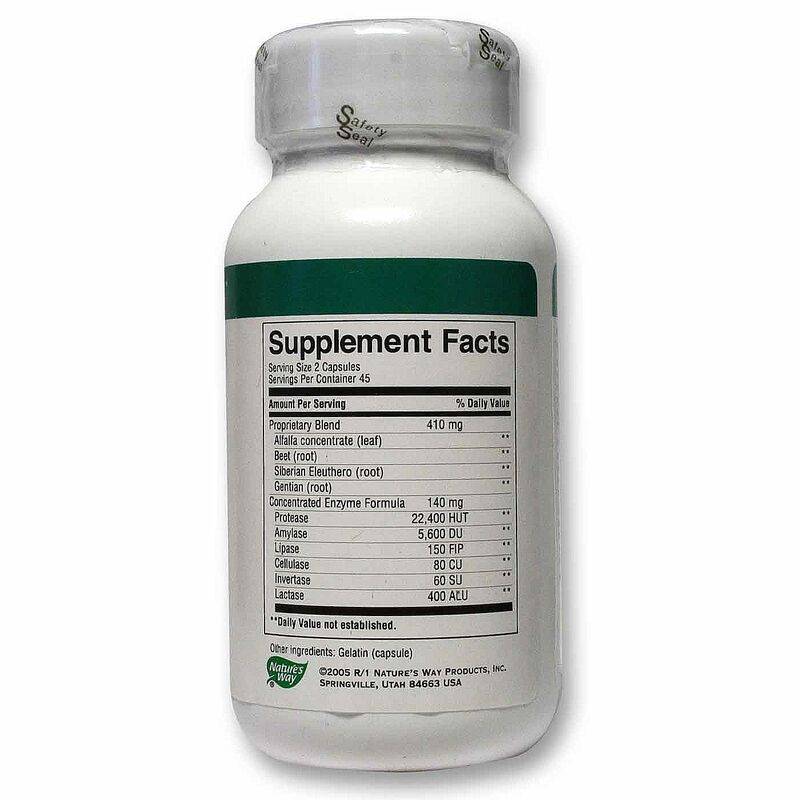 Don't waste another moment without the natural enzymes you need. 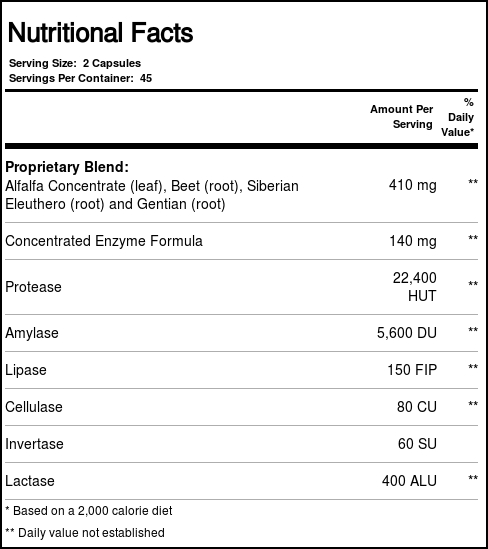 Pick up Food Enzymes by Nature's Way right now from eVitamins and save big! 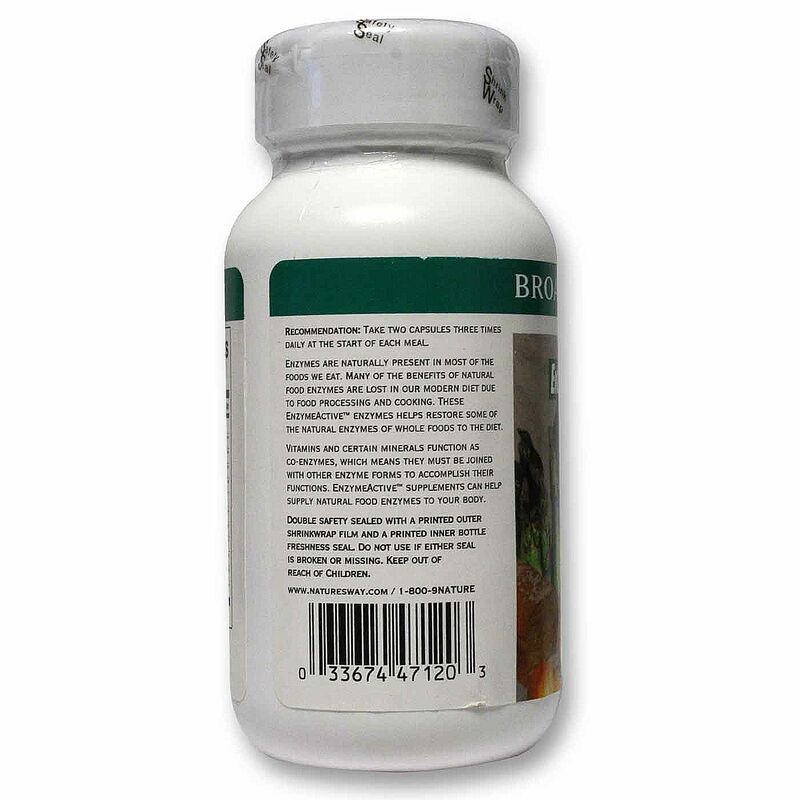 Recomendações de uso: Take 2 capsules three times daily at the start of each meal.